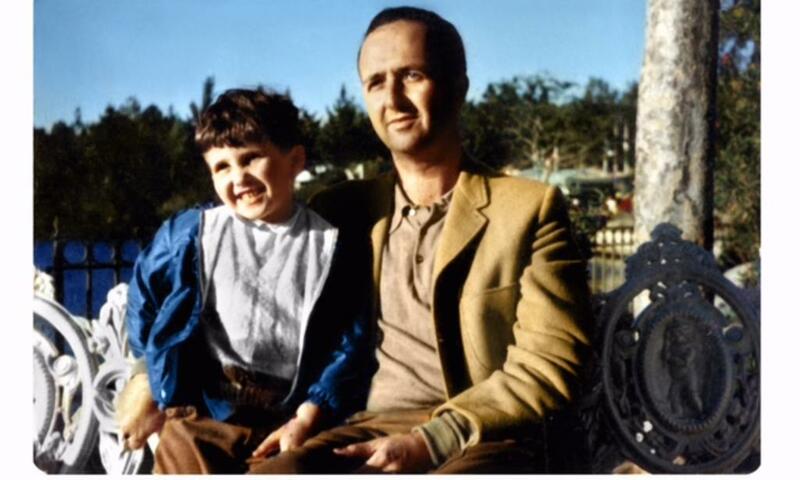 It started with a photo, an old photo of a happy child nestled in his father&apos;s arm, sitting on a bench at Disneyland. To Mitch Goldstone, it is invaluable. It is the only memory he has of his father, who passed away when Goldstone was seven. "Everyone has a story like that-the most important picture," he told DI. Realizing how easy it is for those precious photos to be lost was an impetus to looking for a way to save them. His spirit of innovation in founding Scan My Photos International in Irvine with business partner Carl Berman, and a personal aspiration mesh perfectly with the theme of the Destination Irvine Rose Parade float, "Innovation Rocks." "One of my passions? To get a float in the parade," he said. "The whole city is so excited about it. The theme of innovation-that&apos;s what Irvine is all about." He noted the economic value in having such high visibility and fondly remembers the gorgeous floats Kodak used to enter in the Rose Parade. Irvine has a unique story to share about the mix of business and technology, he said. "The entire world watches on New Year&apos;s. It&apos;s great symbolism." 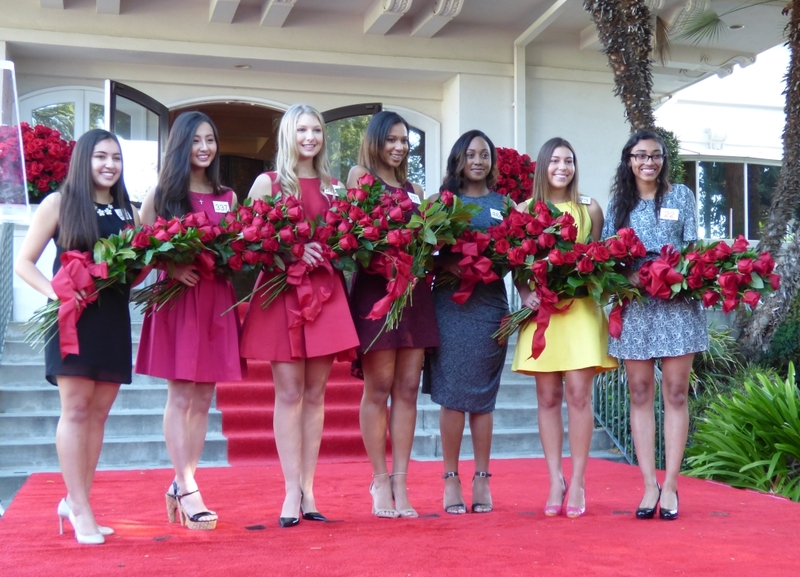 Some of that symbolism and tradition made news on Monday with the announcement of the 2016 Tournament of Roses Royal Court. Out of 900 original applicants, the Queen and Court Committee selected seven young women to represent the association from for the next 12 months. The girls started with a 15-second introduction to the judges in mid-September, and made it through four cuts to become Rose Princesses. Applicants are evaluated on a wide range of qualities, including academics, poise, personality, public speaking, and appearance, but to make the Court, they also possess special, very individual qualities. The 2016 Royal Court gathered on the south porch of Tournament House after the announcement. Left to right in the photo are Sarah Shaklan, Rachelle Liu, Erika Winter, Bryce Bakewell, Regina Pullens, Natalie Hernandez-Barber and Donaly Marquez. Goldstone grew up in New York, but when he came to California to attend the University of Southern California, the climate-both weather wise and businesswise-compelled him to stay. In 1990, he started a small photo printing business in Irvine. As more and more people switched to digital cameras, Goldstone said he had to reinvent his business, which meant going digital. In his 25 years in business, he says he has printed or scanned 300 million family photos. "They are doing no good in those boxes," he said. "Photos are going to get destroyed or fade away." It might be a natural disaster, but some disasters are homemade. "The risk of loss goes all the way down to, if you have a young child with a box of crayons, he could turn your lifetime memories into art." 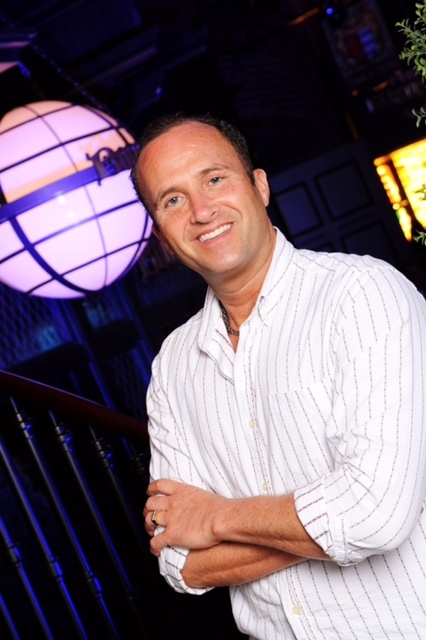 Innovations in technology helped to propel his business, he says. "I&apos;d love to take credit and think it was something I thought of. I was forced to rethink my business. People stopped bringing in rolls of film. I had to innovate to continue with my passion.... Over the years, I&apos;ve been very fortunate because of technology." He gives a lot of credit to the many photo apps for sharing and storing digital images and to "Throwback Thursday," because it&apos;s popular to post old pictures electronically. "It&apos;s so much fun to go back to family events and holidays," he said, but slides and analog (hard copy) photos are not easily shared and the history can be lost. Photo sharing apps are only uploading recent pictures from smartphones, digital cameras and other digital media. "ScanMyPhotos.com solved that. It&apos;s kind of like magic to see how quickly your photos can be digitized. Then can be shared with friends, relatives." Goldstone estimates there are 3 ½ trillion analog photos in the world. His company scans and digitizes 300,000 photos a day, as many as 300 per minute per machine on equipment manufactured by Kodak. ScanMyPhotos.com takes SMP, digital photos, slides, film negatives, VHS tapes, EPS tapes, and 8, 16, and 35 mm films and turns them into 300 or 600 dpi jpegs stored on DVDs or flash drives. He suggests uploading the files to the cloud and purchasing extra flash drives for sharing with family members and keeping in a safe deposit box. "It&apos;s such a synergistic process with innovation. That&apos;s what my business is all about," he says. Part of the innovation at ScanMyPhotos.com is making it easy for customers to send in their photos. They can go to the website and order everything online, including a "fill the box" option. ScanMyPhotos.com sends a box to the customer, who has prepaid online. The customer fills it and can bring it in himself or ship it back with no shipping cost. "As soon as we get the box, it&apos;s scanned and sent back in a few days. We&apos;re so sensitive-these are people&apos;s most precious possession-they shouldn&apos;t have to wait a long time." Goldstone avers that his shipper, the US Postal Service, has never lost a box. USPS even sent a 12-person crew to shoot a promotional video at the company. 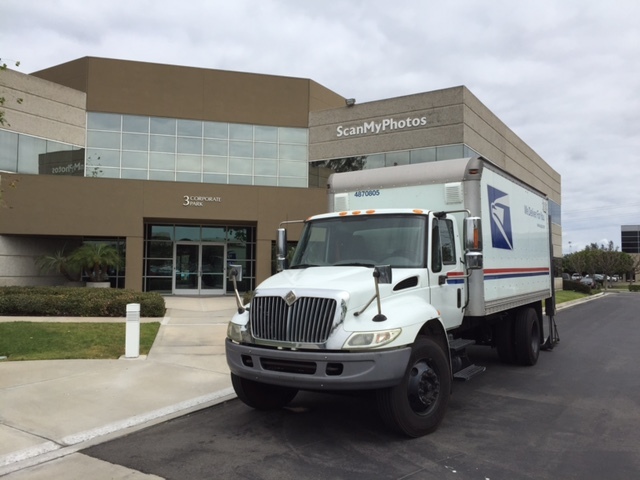 Though ScanMyPhotos.com receives boxes from all over the world, the only location is in Irvine, and Goldstone remains a staunch supporter of the city. He served twice on the board of the Irvine Chamber of Commerce, with his high point being on the community service commission. He is also extremely enthusiastic about the first Irvine float to be in the Rose Parade. "The float is energizing to the City of Irvine, people are talking about it," he enthuses. "I will do anything to help out."